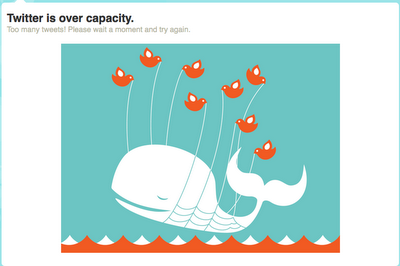 I think someone is causing my Fail Whale.... damn you twitter addicts!!! In other twitter news... this is just too funny to not post.. that being said I still love the hell out of twitter. Twitterholic Rank #9 Like Whoa!